The Land Trust was founded in the mid-1980’s and over the past 30+ years has protected over 27,000 acres, spearheaded hundreds of acres of successful restoration projects, and sponsored on-going programs to educate both children and adults about the importance of protecting ranch, farm and open space land for future generations. 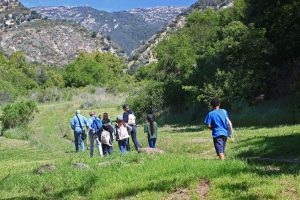 Our Arroyo Hondo Preserve docents are a terrific group of people trained to lead weekend hikes for the public and work with local school children attending AHP’s Environmental Education Program. We are looking for more nature-lovers to join our docent team! 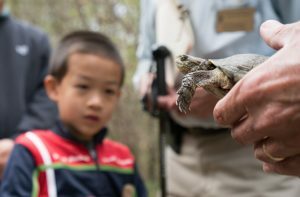 Our volunteers help to keep our preserves open to the public and the ecosystems healthy. If you’re a teacher, we have developed sites, programs and materials for teachers to help children learn of the natural and historical wonders of Santa Barbara County. Our Next Generation of Conservationists interns focus on community outreach and engagement all while using existing skills and developing new ones. What does conserving land and resources mean to you? How can we capture and sustain your attention and the attention of people in your age group? How can we provide meaningful ways to work together? We encourage you to take our brief, online survey to help us learn!